For all of our aerial services we have teamed up with Kingston Drone Pros; the leaders in UAV services in Kingston and surrounding areas. Using state of the art drones, and top of the line camera technology, they have established themselves as Kingston’s professional drone service. 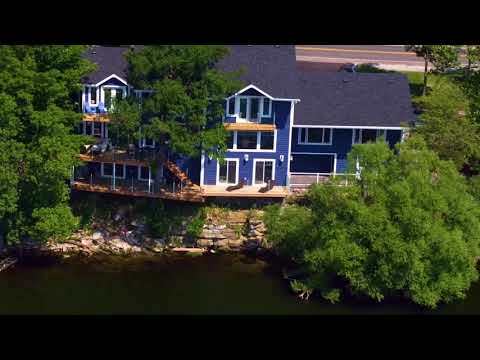 Starting in 2014 as Kingston’s first incorporated drone company, they became a leader in local real estate photography. With thousands of hours of in flight time, and hundreds of commercial operations completed; your clients safety is ensured. With an impressive portfolio that includes the Discovery Channel, the Department of National Defence and Correctional Service Canada- you can be sure your projects aerial requirements will be met. Kingston Drone Pros only use professional level equipment; not consumer or entry level drones. We are happy to work hand in hand to create the incredible Property Perspectives content as a complete real estate solution.